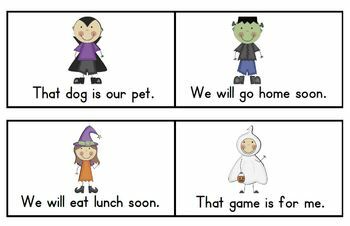 This Ready to Go Game helps students become more fluent readers by providing meaningful practice with high frequency word recognition. 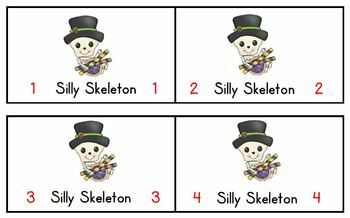 Silly Skeleton High Frequency Word Sentences contains 216 High Frequency Word Sentence Cards and four cards labeled Silly Skeleton. This game is an adaptation of the traditional game Bang. The included, child friendly, direction card can be seen in the preview. 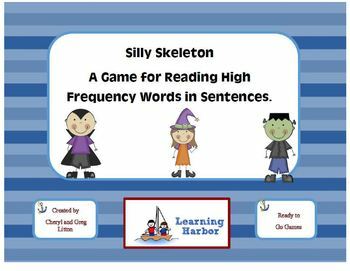 This game will work well with literacy stations, literacy centers, small group reading instruction, Guided Reading, and RTI. It is great for differentiation in reading instruction. 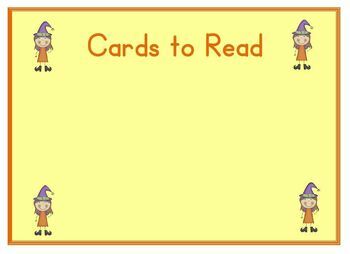 Card could also be used as flash cards. It is aligned with Common Core Standards and Texas TEKS.